Gaelic oral tradition is full of stories of magical creatures like fairies, water horses, brownies, kelpies and so on. Creatures like these were believed to be shape shifters: they had the power to shed their fish or seal skins and become ‘human’ on land. However, even although they could inhabit our world on dry land, their souls belonged to the sea and they would always be drawn to return to their own kingdom beneath the waves. 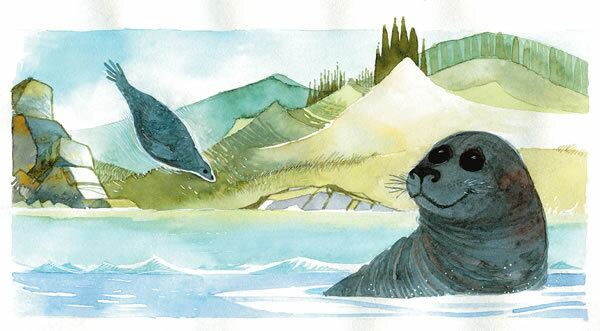 Stories tell of men and women who fell madly in love with selkies (seal folk), mermaids and mermen – such was their beauty and charm. But the only way they could keep their beloved on land was to steal the creature’s skin. Without that, it was impossible for him or her to return to the sea. Stories like An t-iasgair agus a’ mhaighdeann-mhara on page 129 can be found in many of the Celtic and Scandinavian nations. 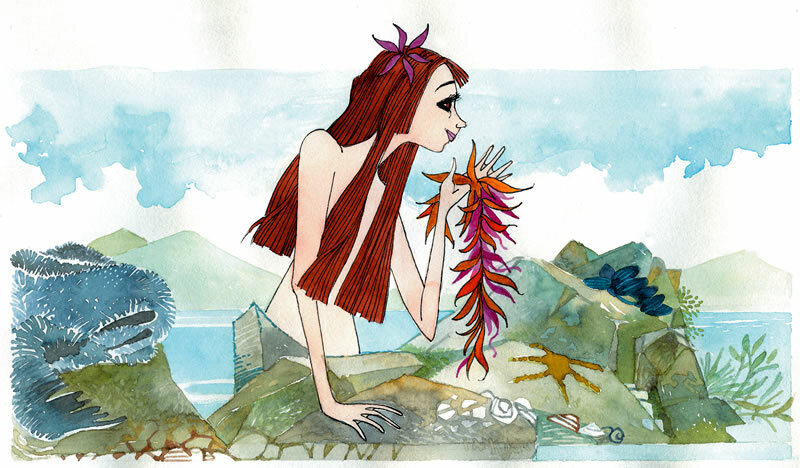 The Gaelic term maighdeann-mhara (maiden of the sea) is translated as mermaid in English. Usually the term mermaid conjures up images of beautiful fish-tailed women. However, in Gaelic, maighdeann-mhara can refer to both a seal maiden (a selkie) and a fish maiden. ’S ann le foill a mheall thu mi. Bidh mi ’nochd an Eilean Idh’.